Drone use began as a military-based technology but has quickly taken over the consumer market. In 2015 alone, it’s estimated that over 4 million consumer drones were sold, growing 167% over the past year and totaling just under $2 billion in revenue. With such an explosion in popularity, it’s no surprise that drones have begun to make headway into the commercial market as well. Companies like Amazon are exploring using drones for delivery purposes. Other businesses are using them for communication and security. Perhaps the most well-known commercial use of drones, however, is for taking pictures and videos. Using drones to shoot your corporate videos provides many benefits, but you must take proper precautions. In the U.S., drone use is highly regulated. In other countries, it varies greatly. Below, we’ll simplify drone use for you by describing exactly why you should care about drone videography, and how it’s regulated in various countries. Using a drone gives you access to video you could never hope to shoot otherwise. You’ll be able to film breathtaking landscapes from high above, giving your videos a unique perspective. Because drones don’t require somebody to man them, they can shoot scenes and angles that would otherwise be too dangerous for your crew, such as the top of a waterfall or a panning city view. Besides access to incredible footage, drone videography is quite affordable. With technology growing more powerful each day, quality drones are inexpensive in comparison with a full helicopter aerial shoot. It’s also simple. As long as your battery is charged, you’ll be ready to go within minutes. You’ll be ready to record great footage whenever it’s convenient. Commercial Drone Use in the U.S. According to the Federal Aviation Administration, any commercial use of drones must be expressly permitted. The FAA interprets this ruling as receiving anything of value in exchange for drone activity, which includes selling footage or even posting it for YouTube hits. Video marketing is therefore extremely likely to fall under commercial use. For commercial use of a drone for video marketing, the crew must have been granted a 333 Exemption from the FAA. “By law, any aircraft operation in the national airspace requires a certificated and registered aircraft, a licensed pilot, and operational approval. Section 333 of the FAA Modernization and Reform Act of 2012 (FMRA) (PDF) grants the Secretary of Transportation the authority to determine whether an airworthiness certificate is required for a UAS to operate safely in the National Airspace System (NAS). A more recent ruling by the FAA declared that all qualifying drones, whether for personal or commercial use, must be registered with the administration. This is in an effort to ensure privacy and reduce the amount of mischief caused by drones. In order to qualify, personal drones must weigh between .55 and 55 pounds – including any cameras or additional equipment and can be registered online. Commercial drones, or any drones heavier than 55 pounds, must also register but cannot do so online. Once you have all the proper permissions and registrations, there are still additional guidelines to follow. For examples, drones cannot fly more than 400 feet, over important infrastructures such as highways or water treatment plants, or near commercial aircraft. Failure to comply with these laws can lead to hefty fines or even imprisonment. Not all countries are so stringent when it comes to drone use. Mexico, for example, is extremely drone-friendly. Their Civil Aviation Authority has exerted no control over commercial or personal drones, and they actually actively encourage drone use. With plenty of exotic views and interesting locations, Mexico is a worthwhile spot for drone video marketing. Brazil is another country that’s open to drone use. Their government has invested a great deal of time and money into using drones for security monitoring. Beyond that, they have elected to allow citizens to use their drones unimpeded. With cities like Rio de Janeiro and Sao Paulo and an enormous amount of tropical rain forests, Brazil offers a goldmine of footage. Australia and New Zealand are two final favorable countries for drones. Australia only requires a simple, easily acquired ID for commercial drone use, and has no restrictions on personal drones. New Zealand sees commercial drone use the same as personal use, and has no restrictions on either. Unfortunately, not all countries are hospitable towards commercial drone use. Canada, for example, is extremely strict on commercial drones. If you are using a drone to seek profit, you’ll need a Special Flight Operations Certificate. This certification process is extremely complex, with an enormous checklist of requirements. Since a camera automatically qualifies a drone as commercial, you’ll need this certification to make any sort of video. Most countries in Europe are also quite unfavorable towards commercial drones. Countries in the European Union fall under the control of the European Aviation Safety Agency, who demands certification for all drones – personal or commercial. These permissions are only provided on a case-by-case basis, making it a lengthy and murky process. Finally, Asia is actively opposed to personal drone use of all kinds. China, Japan, and possibly South Korea are all using drones quite actively for military purposes. As a result, personal and commercial drone use is almost non-existent. Despite the amazing views, you’ll probably need to figure out another location to shoot. 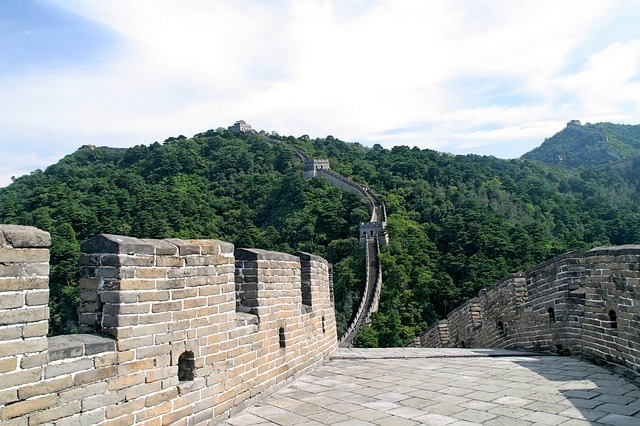 The Great Wall of China offers spectacular views, but you won’t be able to shoot there. Drone laws are confusing on a national level, but you need to take even more into account. The FAA admits that state and local laws can take precedence over their regulations, so it’s possible that drone use could be strictly prohibited even if it’s perfectly legal on a national level. Whenever planning a drone shoot, make sure to contact the state and city authorities to make sure that you’re not violating local laws. The easiest way to ensure that you’re using drones in a safe and legal manner is by using an experienced video crew. They’ll know how to operate the equipment and get the perfect shots you need while worrying about the proper permits and registrations for you. In many jurisdictions, this is much cheaper than paying for the paperwork yourself. To find the right crew for your job, make sure to reach out to us here at Crew Control. Click here for a free quote today.